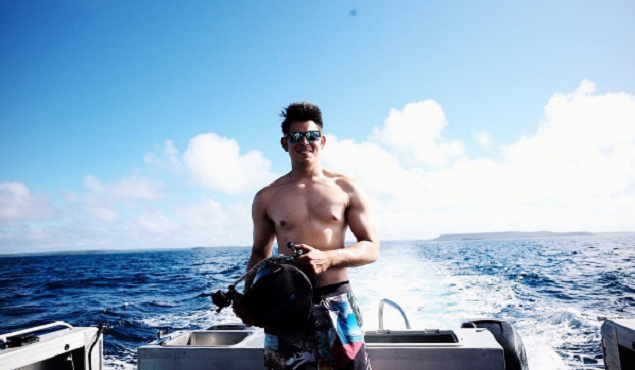 Richard Gutierrez and wife Sarah Lahbati are in the Pacific island of Tonga for some R and R. This allowed the teen heartthrob-turned-dad to bond with his son Zion and appreciate underwater life which has always been advocacy. But in between excellent shots of giant whales on Instagram, Richard showed us something we think we won't see again - his machismo that helped him land multiple superhero roles on television. So how do you define "dad bod" again? Richard Gutierrez redefines it with this Instagram post. Hi Mr. Gutz! Will you be generous to show more? More Bench campaigns, perhaps? And what's hot bod without a hot mama? Photos are from Richard and Sarah's Instagram accounts @richardgutz and @sarahlahbati.